At the end of June 2018, Quickspin released a new slot Eastern Emeralds. The Swedish software developer for online casinos has a good reputation in the circle of gamblers. 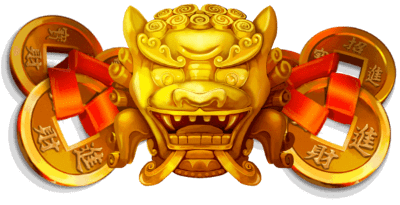 The slot refers to the eastern theme, which has recently been very popular among players. Will this novelty interest many players? It has great chances to become one of your favorite games because it has a maximum multiplier of x12.600 and a RTP rate of 96.58%. This is a great chance to get a solid win. Try the demo version of the video slot and plunge into the atmosphere of Eastern traditions. What Are the Characteristics of the Game? The design of the video slot is simple and elegant. The screen with the reels is located on the background of a Chinese village, hidden deep in the mountains. Celestial lights, a Chinese-style bridge, a waterfall - all this is complemented by an excellent soundtrack. Try Eastern Emeralds to play for free without registration and to travel several hundred years ago to ancient China! The game reel has a dark cherry background with images of dragons, bordered by a thin gold frame. Here, you will see beautifully depicted images of gold animals with a smooth animation. The bonus symbol deserves particular attention. The game menu is slightly out of the picture. Its design does not quite fit into the overall design concept for the slot. The menu has an interesting function, using which you can increase the speed of the game. The 5-reel video slot has 20 fixed pay lines. 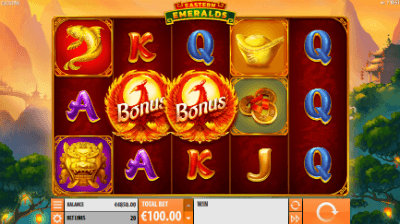 Before entering the slot Eastern Emeralds to play online for free, determine the size of the bet. On one spin, you can put from 0.20 to 100 euros.  Standard game images - values of playing cards with a face value of 10 to ace, images of animals cast from gold, Chinese coins. The symbols of the highest level are the Wild sign and images of a phoenix bird with the inscription Bonus - Scatter. The gambler should take a closer look at the mechanics of the Wild. On each of the reels, it has its own multiplier. On the first x1, on the second x2 and so on up to x5. If several wilds fall on the reels, the multiplication factor is added together. This means that if each line falls on the wild, you will get x900 - 1x2x3x4x5 x 7.5. What Kind of Bonuses Will You Enjoy? Bonus level with free spins (Destiny Bonus) takes place after the fall of three phoenixes on the second, third and fourth reels. It is worth noting that the scatter does not drop out on the first and last drum. The round with free turns has its own peculiarity. The player is given the opportunity to choose independently the number of spins, from 6 to 15. The peculiarity is that the smaller the spins, the greater the multiplication factor of the win is. Consider this, choosing your tactics before you get started playing Eastern Emeralds for money. Theoretically, in a round with six turns, you can get the maximum multiplier - 5x 6x7x8 x 7.5 = x12.600.